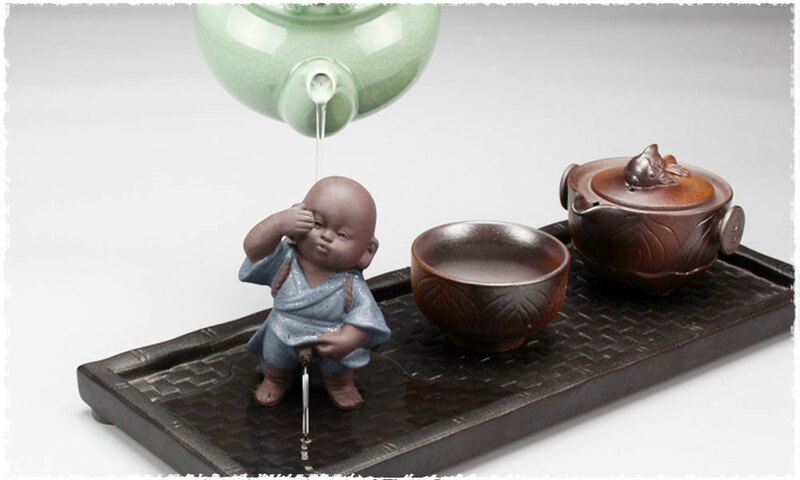 If you have been to China or drunk tea in a way of Chinese Gongfu style before, you’ve probably seen a kind of clay figures (most are simple animals) sitting on the end of the tea tray. These clay figures are known as “茶宠”(tea pet) in China. What is on earth a tea pet ? Let me show more about it. A tea pet, also known as a tea lover’s pet, is a small clay art work made of Yixing clay and raised by tea lovers with tea water for pleasure (or good luck) during tea time. 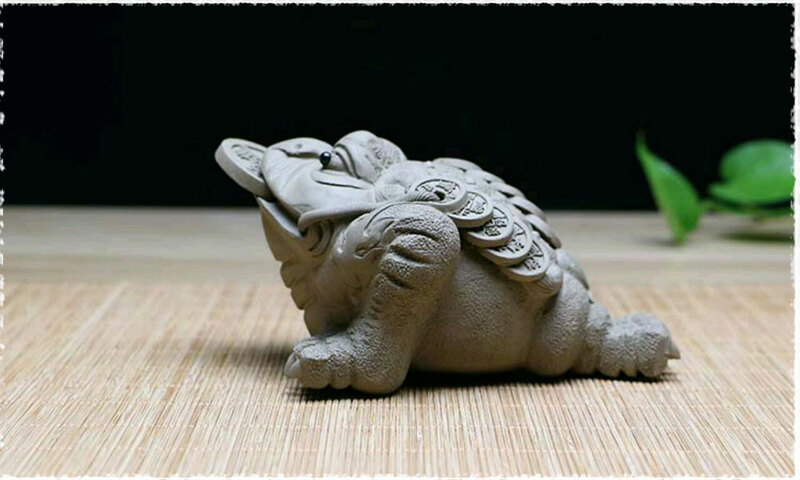 Most common are Golden toad, pixiu (baby dragons), and other mythical creatures which are always related to happiness, treasure or best wishes in Chinese culture. When talking about this type, Pee-pee boy is the most representative and popular figure. It is about 3 inch tall with a red-brown color. Hot water poured over the pee -pee boy will make it “pee” if the water is hot enough. The secret lies in its hollow structure with only one tiny opening. When hot water is poured over its head, the air in the pee-pee boy expands, resulting the water to be squeezed out through the tiny opening. In recent years, more and more artisans utilize this technology on other tea pets, such as water-breathing dragons or water-spraying longevity tortoise. 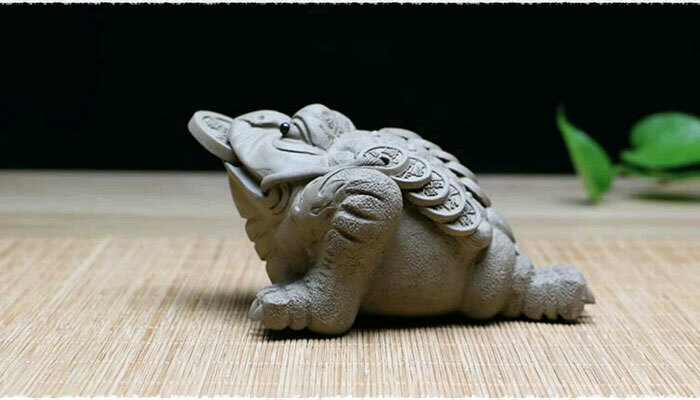 Generally, tea pets of this type are mainly made out of resins and can change color with the impact of hot water and restore to the original color when temperatures have cooled down to the room temperature. After a while, they will restore to the original color when their temperatures have cooled down to the room temperature. The last type, besides the above three, is funny tea pet. They were shaped into various figures to cater to different needs. 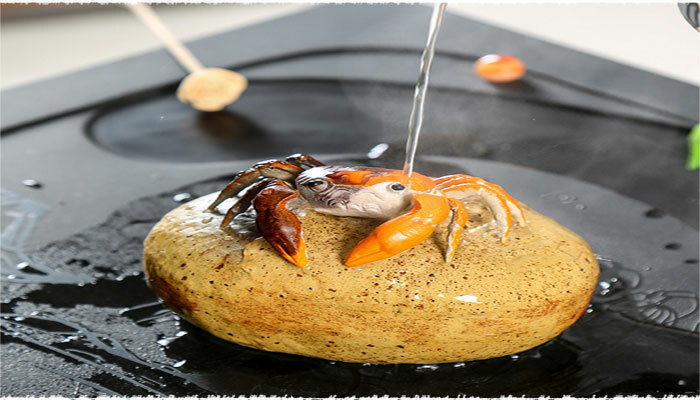 Since tea pets are generally made from purple clay, the same materials used for making purple tea sets, so they are mostly monochromatic, unglazed with a coarse surface. This is the reason why the newly purchased tea pets usually are purple red, purple or red and always give an unexploited feeling. If being taken care of and rinsed with tea (usually leftover) continuously, they will become more and more polished and adorable with fragrance of tea. 1. The size of tea pet should be moderate-sized since the oversized tea pet is not convenient to carry when travelling or fondling. 2. Only with tea (not the other liquid), and better with only one type of tea (plain water is also not good), which contributes to the purity of its color. 3. 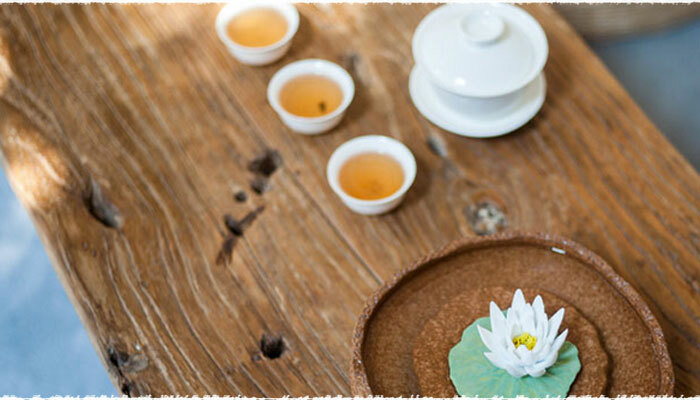 All tea types are available for nourishing tea pet while pu-erh tea works the best. Generally speaking, black tea, Pu’er and Oolong will result in the faster “changes” while green tea effects relatively more slowly. 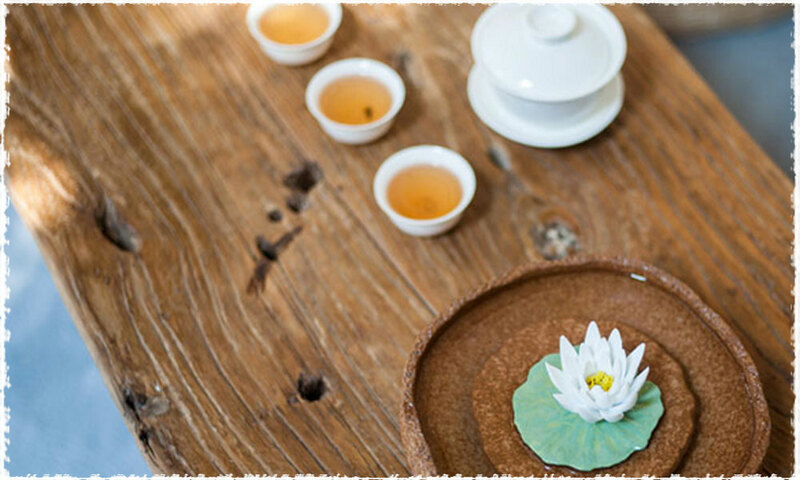 Positive changes may occur in 1-2 months when raising with pu-erh tea and generally after six months you can get the pleasant shine appeared on the surface. 4. Better not always treat it with leftover tea. Sometimes you need to fondle it with a brush (with tea) and clean it with tea napkin. 5. Don’t soak your tea pet in tea water. 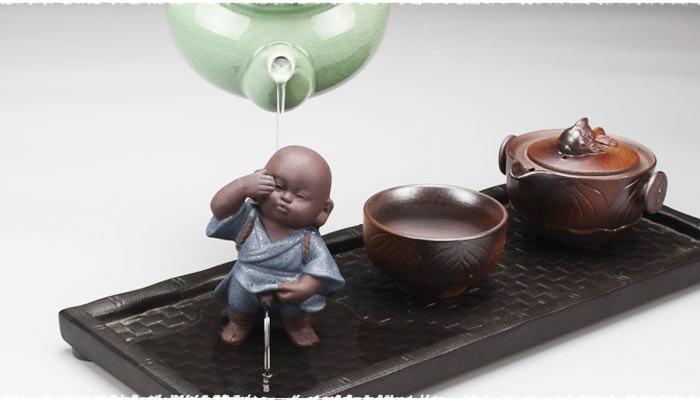 It is said that raising the tea pet with this way may lead to a kind of subdued color.